If you wear makeup, then there have probably been times when you went to bed with it on. Perhaps you were too tired or drunk to take it off. Maybe you were planning on taking it off but fell asleep when you lay down for a bit. Or perhaps you thought it wouldn’t do any harm so you went to bed without thinking twice. Most of us have long, tedious days and it is even possible to forget that we’re wearing makeup, so eager are we to just get a bite to eat and jump into bed when we finally do trudge home. The point of makeup is to make you look good by accentuating the finer aspects of your facial features. But if you do not remove your makeup before going to bed, you’re going to contribute to damaging your looks in several very unpleasant ways. If you have ever slept with your makeup on then you may already have experienced some of the side effects which we will discuss in this article. If you’ve been reading our skin care posts over the last few months then you probably remember one piece of information about skin which we have repeatedly mentioned. The skin is an organ. It is a living, breathing organ with porous qualities which means that it absorbs every single thing it comes into contact with whether it’s a soothing blend of essential oils or the pollution that hits you every time you’re out in the city. Ideally, clean air and plain water are all your skin should come into contact with most of the time. However, this is not feasible for most of us today. One of the ways to get around the problem is by limiting your exposure to pollution, sun and the harmful chemicals in cosmetics and other beauty products. As much as you love your makeup, it doesn’t exactly love you back. There are a host of disgusting, toxic chemicals in your makeup which cause damage to your skin in the long run. Your daily routine which involves shampoo, conditioner, deodorant, foundation, mascara, eye shadow, blush, lipstick, powder and nail polish causes you to ingest over 200 chemicals. Do you know that most of the chemicals included in your makeup are branded as toxic and are handled with protective gear in an industrial environment? Think about that for a second. Employees handling the chemicals are required to wear protective gear at all times but it’s OK for us to apply it directly on our skin? Although the FDA has banned a few chemicals from being used in makeup, they just do not have the budget or the man power to formulate more stringent rules to regulate what can and cannot be included. Beauty companies have a free hand in adding whatever they like in your 16-hour lipstick or your sparkly eye shadow and your non-bleeding mascara. The longer you leave the makeup on your skin, the more you risk these chemicals penetrating your skin and playing havoc even with your organs over time. You won’t find enough scientific evidence to support this because makeup is a multi-billion dollar industry and the bosses can afford to keep this type of information under wraps and prevent authentic scientific studies from being carried out. 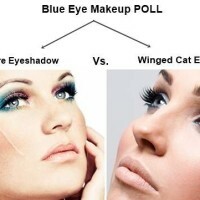 In fact, most information that is revealed about the makeup you use is twisted to suit the agenda of the brand. So don’t take anything at face value. Use your makeup as little as possible and don’t leave it on your skin when you go to bed at night. Many chemicals in makeup can penetrate the skin and remain in your body for as long as five days after being used just once. Even when the toxic chemicals are discarded, residual levels remain in the heart, liver and brain. Several of these chemicals contain carcinogens – the stuff that causes cancer, creates problems with the nervous system and which is responsible for raising the risk of birth defects in pregnant women. Following are just a few of the chemical ingredients in makeup which can cause severe health problems and you’ll find them in almost every beauty product you use. The fact that these chemicals are in your makeup is actually scary enough to have you quit makeup forever. 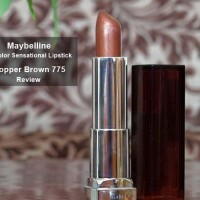 But many people are unmoved by the fact that their makeup contains chemicals. After all, what do we care as long as we look good? This makes it necessary to address the other negative effects of leaving your makeup on when you sleep. We’ll now discuss the reasons that will probably scare you more than chemical ingredients. The simplest reason is this – it’s unhealthy for your skin. It can, however, be hard to relate to this simple truth especially since we do so many other things in life which are known to be unhealthy like eat junk food, work ourselves to the bone and sleep just four hours a night. So a more graphic representation of facts becomes necessary to show you exactly the kind of damage and havoc you will cause if you do not remover your makeup before going to bed. Your makeup – especially your foundation, mascara and eye shadow – will rub off on your pillow as you lay your head against it all night. While a dirty pillow in itself is not harmful, the negative repercussions will occur when bacteria starts to fester in the dirtied parts of the fabric of your pillow case. This bacteria will then get into your skin and hair when you go to bed next and will cause skin damage that can lead to acne, rashes, blisters and other allergic reactions. We’ve already mentioned that the skin is an organ, an organ that is porous and which needs to breathe. No matter how super-awesome or advanced your makeup is, it still clogs your skin’s pores to a great degree. If your pores are blocked, the sebum that is produced by your glands to wash out dirt from the pores gets trapped and causes pimples, pustules and boils. All you have to do to avoid this is to remove your makeup before going to bed. Although sleeping with your makeup on is bad all around, perhaps the worst damage it causes is to your eyes. The skin around the eyes is the most delicate and the thinnest on the body. What this means is that it is more vulnerable than skin on other parts of the body. The skin around the eyes dries out very easily, which is why the earliest signs of wrinkles are usually seen in the development of crow’s feet at the corner of the eyes. When you go to bed with your makeup on, it dries the skin around the eyes tremendously. Dry skin also leads to premature aging. However, that is not the only damage that will result. Sleeping with your makeup on will also weaken the hair of your eyebrows and eye lashes and they may fall out and get thinner. Finally, the chemicals in eye makeup will cause irritation, redness, watery eyes, dry eyes, allergic reactions and even infection. When you sleep is when your skin carries out repair work from within. Your skin cannot carry out this repair work during the day as your body’s resources are needed elsewhere. If you load your skin with makeup when you sleep, your skin will have a hard time getting any work done and you will thus age before your time if you make this a habit. Leaving your makeup on dries out your skin considerably. Dryness is in itself one of the major causes of premature aging. During the day, dirt, pollution and a dozen other things from your surroundings are absorbed by the makeup on your skin. Free radicals – which cause skin cells to age early – are also caught in the makeup and leaving it on when you go to bed will give the free radicals the time to soak right into your skin and cause irreversible damage. Removing your makeup washes away the free radicals to quite an extent and minimizes skin damage. Sleeping with your makeup on prevents your skin from getting the oxygen it needs to regenerate. As we mentioned earlier, your dirty pillow from buildup of day-long makeup can allow bacteria to fester which will damage your skin. Your skin is generally more prone to infections when there is any kind of beauty product on it. There are so many ingredients in your makeup – many quite harmful – that the body’s inbuilt defensive system cannot tackle all of them. You may thus have an allergic reaction to any of the hundred or so ingredients. Infections are not all that common, but they are not unheard of either. Have you ever seen women who wear too much makeup without their makeup? Their skin is patchy because the long-term effects of too much makeup lead to skin discoloration. Discoloration is most apparent on the lips and around the eyes, both of which can add years to your face and make you look much older than you really are. 1. Your first priority when removing makeup is to get rid of the eye makeup since the skin around the eyes is very thin and sensitive. Use a gentle makeup remover to do this. Your mascara, eye liner and eye shadow will dry out the skin around the eyes and weaken your eye lashes if left overnight. 2. This next step is optional. Steam your face to make makeup easier to remove. 3. Remove your lipstick. This is crucial, especially if you wear the kind that stays on for hours and hours a day as they contain the kind of ingredients that cause the worst kind of damage. Apply just a little petroleum jelly (Vaseline) to your lips and rub with tissue. 4. Wash your face with a gentle face wash. This usually takes off most of your remaining makeup. However, some makeup products are designed to stay on all day so these can be more stubborn and herder to remove. 5. If there is any makeup left, douse a cotton ball with cleansing lotion, makeup remover or toner which is designed for your skin type and gently rub over those areas excluding the eyes and around the lips. 6. Finally, moisturize. Even this simple makeup removing regime is slightly harsh on the skin and can cause it to get irritated. You may not feel it immediately, but regularly adhering to it will noticeably dry out your skin. So do yourself a favor and moisturize after you have removed all traces of makeup. This will soothe skin and will help return moisture that was stripped away as part of the makeup removal process. Several makeup removers also have chemical ingredients which are no good for your skin at all. 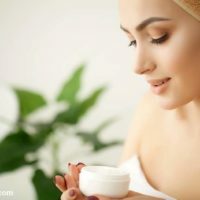 You can try some natural makeup removers in their stead which will remove your makeup and moisturize your skin without leaving toxic deposits and causing damage. Baby oil is an excellent alternative to chemical makeup removers. This is especially recommended to remove makeup around the eyes as it is formulated to be extremely gentle on the skin. Olive oil is another fantastic natural makeup remover. It not only effectively removes makeup and impurities but also does an incredible job of moisturizing the skin. Apply a little olive oil on a cotton ball and swab on skin. Leave it there for a couple of minutes. The oil will immediately break down the makeup of the day. Wash off. Milk is the most widely used natural makeup remover. Simply douse a cotton ball with milk and swab over your face to remove makeup. If milk is not available, you can use yogurt too. Remember to leave it on your face for about 2 to 3 minutes to give it time to break down the makeup. Those with oily skin can use lemon juice remove makeup. Cucumber is known to be extremely soothing to the skin while milk is known to be a great cleanser. Blend these two ingredients together and you have one of the simplest and most nourishing makeup removers. Begin by making a paste of a peeled cucumber. The best way to do this is to put it through a grinder or a food processor. Next, take half a cup of boiled milk and simmer the cucumber paste in it for about 10 minutes. After it cools, you can store it in the fridge and use it as a makeup remover for up to one week. Simply use a cotton ball to wipe off makeup and follow by washing with water. Rice milk, soy milk or almond milk can also be used either alone or with other ingredients to remove makeup safely and effectively. Add two teaspoons of rice milk to one teaspoon of rice milk. Apply on face with a cotton ball but avoid the eye area since the lemon will sting. You can also add half a cup of rice milk to a brew of green tea and the resulting concoction will remove makeup and nourish the skin. Let it cool to room temperature before using it. Almond milk is soothing and a wonderful makeup remover. Simply use a cotton ball soaked in almond milk to remove makeup in circular motions. Soy milk can be used as a makeup remover or you can mix a teaspoon of soy milk with one mashed banana until you achieve an even consistency which you can apply on the face as a makeup removal mask for about ten minutes. Wash off with plain water and follow up with moisturizer if needed. Remember that since the natural makeup removers do not use chemicals and are gentler, they need a little time to work. So leave them on your face for a couple of minutes (or more if specified) so it can do an effective job. If you have on very heavy makeup, you may have to repeat the procedure. When you’re tired after a long day out or when you’ve just gotten back from a rocking party, removing your makeup can seem like a real hassle and will probably be the last thing on your mind. You may not think much of it when you’re younger, but by simply removing your makeup before going to bed in your teens and twenties, you’ll have much healthier skin later in life when the aging process catches up with you. So take these preventive measures now and your skin will thank you with a healthy glow even in your forties.